Hello everybody! Today we have prepared for you a new drawing tutorial in which we will learn you how to draw Batman’s logo. In fact in will be very easy to do. 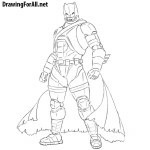 We have divided this lesson on a few steps, to describe the process of drawing as detailed as possible. So, let’s start the tutorial! In the center of a sheet of paper draw two perpendicular lines. That is, the lines which intersect at right angles. Note that the horizontal line should be much longer than the vertical. Now by using the guidelines from the first step draw an oval as in our example. The crossing of the lines must be exactly in the middle of the oval. Inside the oval draw another oval, only smaller, but also perfectly smooth. Now round off the wings – they must be parallel to the ovals from the first steps. Draw the lower part of the bat by using the curved lines. Once again remind – the bat silhouette, as the rest of the logo should be perfectly symmetrical. 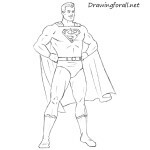 Now the easiest step – just erase all guidelines and darken the lines. The logo is almost ready. Now it’s time to paint over the logo. You can paint over the logo by different ways – for example by using of crayons, markers, photoshop, paints and etc. 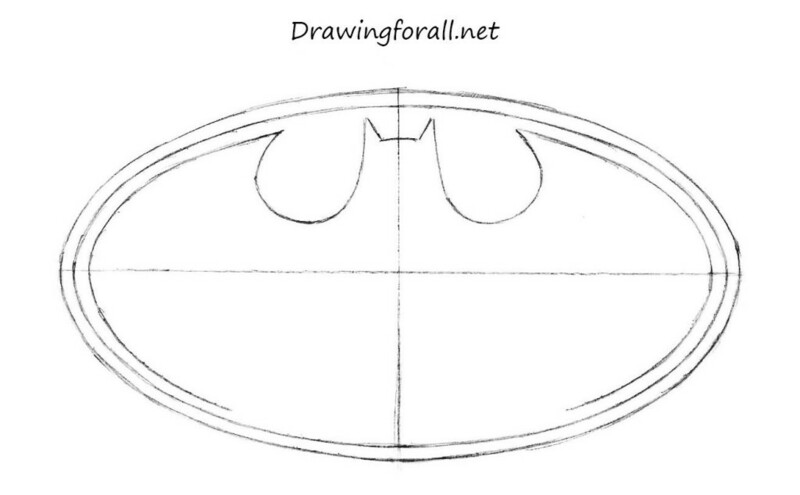 That was tutorial on how to draw batman’s sign. We hope the tutorial was interesting and cognitive for you. 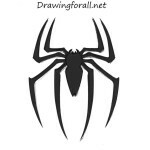 If you want to try to draw something more complicated, we recommend you tutorial on how to draw Wolverine or how to draw Ben Reilly. 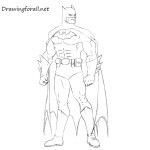 Stay tuned and wait for new drawing lessons! Really needed this for a project. Thanks. You should add in some Doctor who stuff. You guys should put some ninja turtles.